As a member of the Edmonton Rush, Smalley fought Ryan Cousins before the face off of the Swarm-Rush game on February 3, 2006. Both players were ejected from the game. 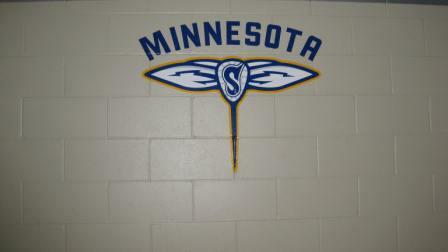 01/21/05 - The Swarm released F Jayme Bryde and D Trent Smalley. 01/28/05 - The Swarm signed D Trent Smalley. 03/09/05 - The Swarm release D Trent Smalley. 03/17/05 - The Swarm sign D Trent Smalley to the Practice Roster. 09/14/05 - Signed as free agent with Edmonton.